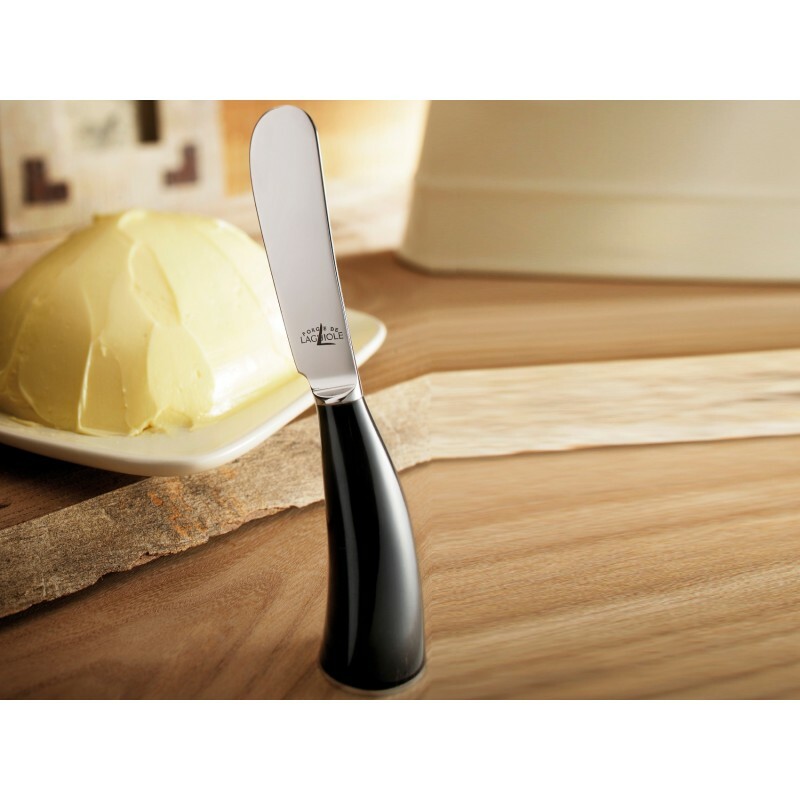 Created by Stéphane Rambaud and Forge de Laguiole, that butter knife "Lou Bure" presents a beautiful stainless steel blade set in a black tip horn handle. This knife both simple and singular allows a modern interpretation of traditional materials. It offers a very pleasant grip, innovative functionality. 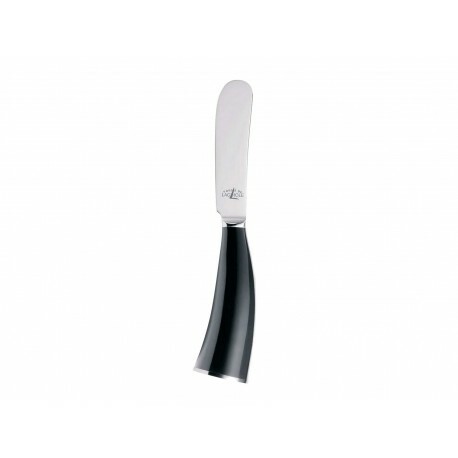 This model won the "Gourmet Award" at IWA Show in Nuremberg (Germany) in 2008. Comes with a case Blaude, fabric of traditional peasant tunic of the Aveyron.